12:30-13:30 Hotel pickup transfer to private pier in Ao Makham. 14:00 Depart from pier sail to Maithon Island, breeza on the sailing boat, tropical fruit served. 15:00 Arrive Maithon looking for dolphins, cursing quietly to check carefully the natural beauty of the sea intelligent animals, pick the best spot for snorkeling. 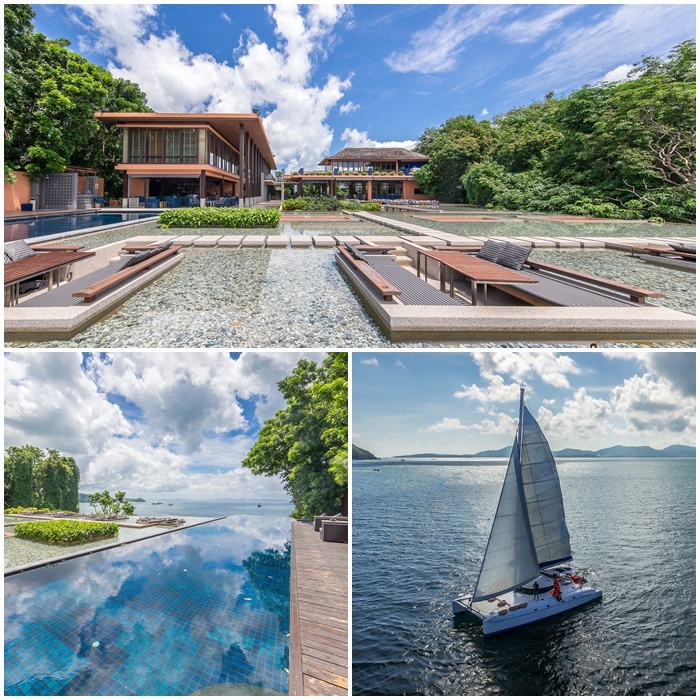 16:00 Return to boat, continue the sailing journey to Phuket’s most luxury resort Sri Panwa. 17:00 Arrive Sri Panwa private pier, take an easy and scenic walk upstairs to Sri Panwa’s popular out door Baba Pool Club Restaurant. 17:30 Enjoy the breathing view and share today’s most memorable moments in style, freshly cooked lunch by island’s top chiefs is served hot to you. 18:30 Pickup from Sri Panwa, transfer back to hotel.